MacGregor, Neil. 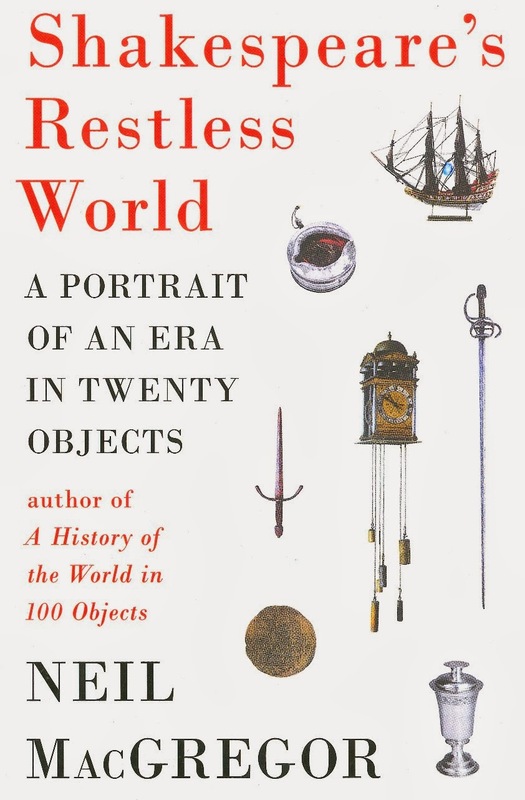 Shakespeare's Restless World: A Portrait of an Era in Twenty Objects. New York: Viking, 2012. British Broadcasting Corporation. Shakespeare's Restless World. 2012. Podcast. I've encountered a lot of Shakespeare podcasts, but this one knocks nearly all the rest into a cocked hat. It's a careful, thoughtful, and marvelous examination of the material culture of Shakespeare's day, one item at a time. The presentation is scholarly and fascinating, and it exceeds the exacting standards set by the BBC. The transcripts, moreover, have been collected into a book that is a marvelous resource. Viking very kindly sent me a review copy (if they had waited a few days, I'll admit, I would have purchased a copy for myself). The book is incredible. It has an impressive number of relevant images. Indeed, my only critique of the book is that the photos aren't the glossy, coffee-table variety, which, admittedly, would be exceptionally expensive to print. Apart from that, I'm just stunned at the book and its contents. The images are astounding, and the book is copiously indexed and provides an exceptional scholarly apparatus to boot. But wait! There's more! The BBC has also put together several video clips to accompany the presentation. Below, you will find video of a musical clock. The podcast, the book, and the video clips all help immensely in giving the scholar or the interested Shakespeare aficionado a better feel for the world in which Shakespeare lived—and a better connection, thereby, to how Shakespeare works in the contemporary world.